DIY Pest Solutions » Insect Control » Are Mosquitoes Attracted to Bug Zappers? One of the main concerns of bug zappers comes with mosquitoes. People often ask if they are attracted to the bug zappers. What they are really asking is if bug zappers are an effective mosquito killer, and the reality is that bug zappers use ultra-violet light and mosquitoes are attracted to CO2. Thus, mosquito traps would be a more advisable solution. Not all mosquitos bite. Studies show that only female mosquitoes bite as they need the protein in the blood to lay eggs. At the same time, not all mosquitoes need human blood and this represents a solid concern or many people who live in areas with a high density of mosquitoes. The protein in the blood will feed the female mosquitos and this means they are more likely to look for a source of blood than male mosquitoes. Bug zappers also kill mosquitos but not because the ultra-violet light attracts them. As a result, only about 4% of the number of insects killed by the bug zappers is actually female mosquitoes. This being said, there are some new bug zappers which also come with C02 emitting functions which will mimic the breath of humans and which has the possibility of attracting the female mosquitoes. Some characteristics will make these machines highly desirable and they can prove to be a real alternative to bug zappers as they can deliver real results. Do you need to sell you bug zapper? This raises the question many people who already own bug zappers have. Will they need to sell their devices and purchase a mosquito trap? This will largely depend if your mosquito trap comes with a combination of technologies. Thus, if you already have a ultra-violet technology, you would not need two options. 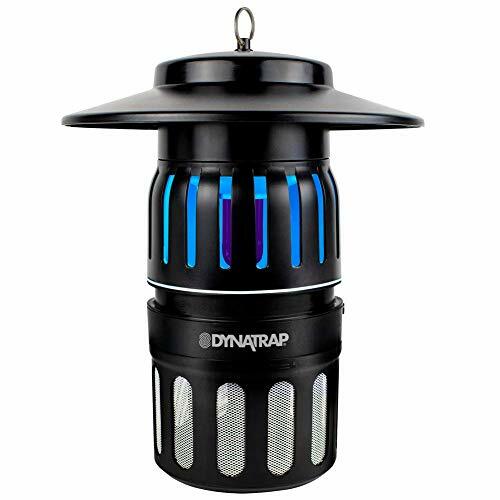 The surface or area you try to protect will often time mean that you have to decide between choosing a new mosquito trap and using it independently or using it together with the old bug zapper. If you have a large home, you can take the time to make all the preparations you need against all types of bugs and insects. Thus, you can have the bug zapper in the kitchen or living area and the mosquito trap in the bedroom. If you live in a large home you will also need to consider purchasing multiple devices, especially if you live in an area known for the large percentage of mosquitoes and bugs. This brings the topic of your area into consideration. Choosing between these two devices also has to take into account the fact that your area might have fewer mosquitoes and bugs and in this situation an all-in-one solution can work for you when you need minimal protection. You will also need to take into account that if you move into a new area you will need to expect a higher percentage of insects and bugs during the summer months. Thus, you will have to prepare in advance. The cost is another issue you have to take into consideration. It becomes increasingly important when you have a larger property or when you have multiple locations within your home that you want to monitor. The good news is that one such device as a mosquito trap or a bug zapper doesn’t need too much energy to run, being very similar to a light bulb. This is why it can be a good option to choose multiple devices if you plan to cover a larger home. The acquisition cost also needs to be taken into consideration in this case. Although most of these devices are cheap to purchase, you may still find a few discounts if you will decide to purchase multiple devices. The best news is that you may also find a more advanced system which can work together. Bug zappers might not all do well when it comes to dealing with mosquitoes. This is where you will need to look for up to date technologies. These technologies include things such as various combinations of features as the ultra-violet light and the C02 emitter. This means that you can tackle multiple types of insects and bugs and the same time. Working closely with these technologies, you will need to find solid solutions for your home, or make the decision to have separate devices for separate jobs, like using the Vivreal indoor zapper specifically for use in bedrooms or the kitchen. For some users, choosing between a solution for bugs and mosquitoes doesn’t make sense, with the exceptions where the number of mosquitos would be actually increasing. This is why finding a solution which works for all of these problems is the best route for most home users. Mosquitos might not be attracted to bug zappers in such a way as they are to a mosquito trap. But this is not to say that the insects will need to grow in numbers. During the summer months, all types of flies and bugs might enter your home. Tackling this issue early on is the best solution. One of the things which constantly skips the discussion comes with the maintenance issue. While you will decide on the best device to choose, the maintenance is essential as you will have to clean the device daily. This means that an intuitive design will be required. You may be working with removable trays and the good news is that this will not require too much effort. As long as you know which device to choose, finding one with easy access to the cleaning area should be easy. Even more, since you will be tackling mosquitoes you want to place the device which can attract them but which will also be safe enough as not to stand in the way of yourself or your family members.